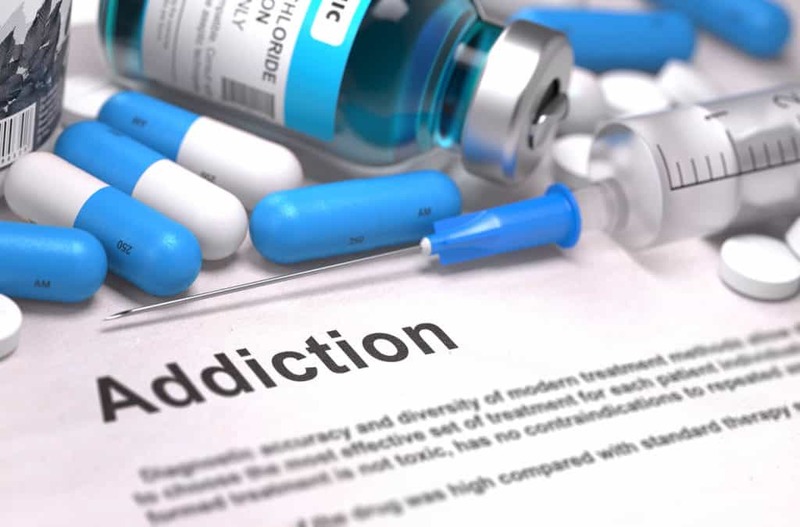 Resource center Guide to Drug Overdose and How it Can Be Prevented What Happens When You Mix Alcohol with Prescription Opiates? Mixing drugs and alcohol is a very common practice. It’s also very dangerous. It’s often done to amplify the effects of the drug, or simply because both alcohol and other drugs reduce inhibitions and interfere with impulse control. Taking multiple intoxicants at once, called polydrug use, is responsible for the majority of emergency room visits and deaths from overdose. In addition to amplifying the high, this behavior also dramatically increases the dangers of drug abuse. This is the same whether a person is combining alcohol and illicit drugs, or alcohol and prescription medications. Prescription opiates include common painkillers like Vicodin, Opana, fentanyl, OxyContin, and the cough suppressant codeine. In recent years, the abuse of these medications has increased substantially in an alarming trend that has resulted in a subsequent spike in overdose cases. Opiates can create a euphoric high when abused, followed by a feeling of peace and relaxation. Due to the fact that they’re incredibly effective at relieving pain, many of these medications ended up being overprescribed. According to the Centers for Disease Control and Prevention, US doctors wrote 259 million prescriptions for opioid painkillers in 2012 alone. This is enough for every American adult to have a prescription. As people began to abuse and become addicted to them, a black market emerged. As with most drugs, the majority of overdose cases involving prescription opiates also involve alcohol. Mixing these two intoxicants is particularly dangerous due to the fact that they both depress the central nervous system. This system controls heart rate, breathing, and other essential bodily functions. When you mix alcohol and prescription opiates, you’re more than doubling this effect. If the central nervous system because overly depressed, an affected individual’s breathing may slow to a dangerous point or stop altogether. Without enough oxygen reaching the brain, rapid cell death can occur, resulting in coma, brain damage, and/or death. Unless medical intervention is sought immediately, an overdose on prescription opiates and alcohol is incredibly dangerous. Abusing any intoxicant, whether legal or not, comes with significant risks. Despite this, many people still regularly engage in this behavior. At the very least, you can reduce your risk for overdose or long-term health issues by avoiding mixing substances, particularly alcohol and opiates. If your use of any intoxicant has gotten out of control, reach out for help today. The reason alcohol and opioid painkillers are so toxic together is because alcohol causes dose dumping, which is the unintentional, rapid release of drugs into the system. Many prescription narcotics, especially at high doses, are designed to release slowly into the body, providing pain relief for several hours. OxyContin, fentanyl, and other prescription painkillers have important time-release additives that make these medications safe over a long period when used under a doctor’s supervision. However, when a person consumes alcohol within two hours of taking these medications – or, worse, swallows opioid painkillers with a glass of wine or beer – the amount of the narcotic released into the body increases. For the most part, dose dumping increases the risk of overdosing on both alcohol and opioid drugs. Breathing is more likely to become shallow, irregular, or depressed, which can lead to organ shutdown, coma, and death due to oxygen deprivation. If a person does not suffer an overdose, they may still suffer serious long-term health issues because of dose dumping. Not only does alcohol increase the amount of opioids that enter the bloodstream, but opioid drugs can increase how alcohol affects the body. While opioids themselves are rarely associated with liver damage, mixing them with alcohol can increase the damage alcohol does to the liver. This can quickly lead to cirrhosis or liver failure. Some prescription opioid painkillers, like Vicodin or Percocet, contain acetaminophen. This non-steroidal anti-inflammatory drug (NSAID) is added to increase the pain relief associated with narcotic painkillers and help the medications last longer. When it is used alone, acetaminophen is a safe over-the-counter medication. Very high doses may come in prescription pill form, while acetaminophen is also added to many cold, flu, allergy, and sinus medicines that are also sold over the counter. Recently, overdoses associated with acetaminophen have increased, as people take several of these drugs together and ingest too much acetaminophen (about 4,000 mg). Acetaminophen specifically harms the liver, so when opioid drugs containing acetaminophen are combined with alcohol, the chances of damaging the liver increase. Additionally, people who take prescription narcotics for non-medical reasons put themselves at risk of contracting other diseases in certain scenarios. Intravenous injection of prescription opioid painkillers is on the rise as a way to override time-release aspects of new versions of these medicines. Using needles with others increases the risk of contracting several diseases, like HIV or hepatitis. All types of hepatitis damage the liver, so mixing narcotic injection with alcohol consumption greatly increases the risk of liver failure. Both alcohol and opioid drugs interfere with the formation of new memories, especially at high doses. Opioid medications bind to opioid receptor cells in the brain, which block moderate to severe pain sensations as well as the emotional reaction to pain. Emotional pathways are associated with memory formation too, so when these pathways are blocked, the risk of memory loss increases. The longer a person takes these drugs, even as prescribed and with a doctor’s supervision, the greater the risk of memory loss. Older adults are more susceptible to memory loss due to pain medication. Binge drinking and heavy drinking both increase the risk of memory loss and blackouts. At high blood concentrations, alcohol prevents short-term memories from being stored in long-term memory. A person who has consumed too much alcohol in a short timespan may act normally, including speaking and walking normally, and even consenting to sexual activity; however, the amount of alcohol in their body may stop the brain from putting memories of those actions into long-term memory, so they will not remember these events when they sober up. Consuming large quantities of alcohol over many years can lead to a type of physical and mental damage called Wernicke-Korsakoff’s syndrome. This condition involves damage to motor function as well as damage to memory that mimics dementia. While this condition may go away if a person stops drinking, it does not always clear up on its own. Combined, opioid painkillers and alcohol can more quickly lead to dementia-like memory loss since they increase the damaging and intoxicating effects of each other.